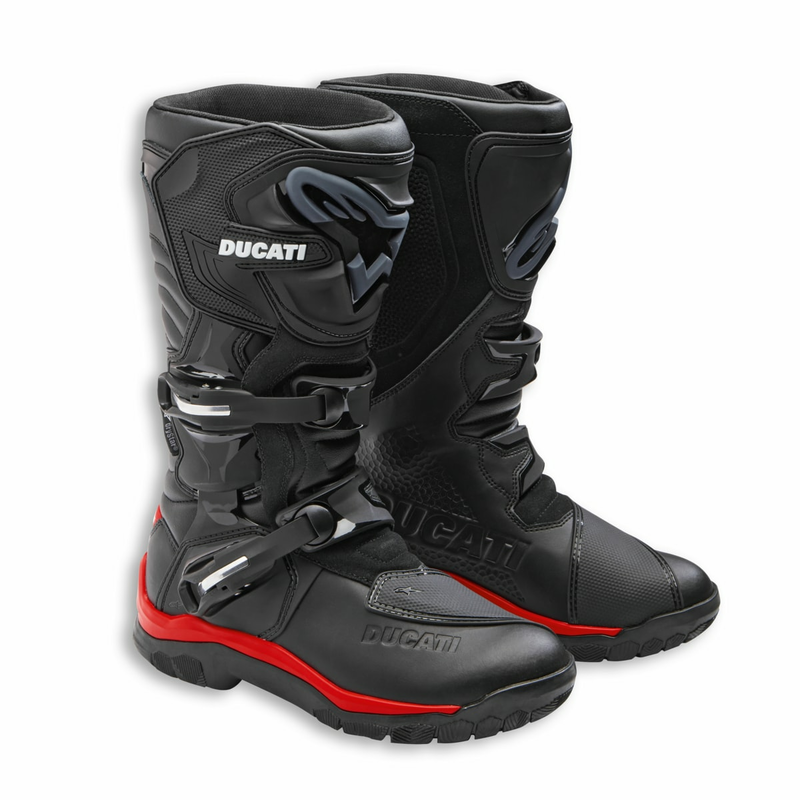 The Atacama boots, produced by Alpinestars in Ducati livery, are specific for touring adventure use. Made with a mix of materials including microfiber and suede, they are equipped with all the standard protections for the category, like the advanced polymeric shin plate and the innovative ankle protection with supporting biomechanical link between the upper boot and the lower foot structure. 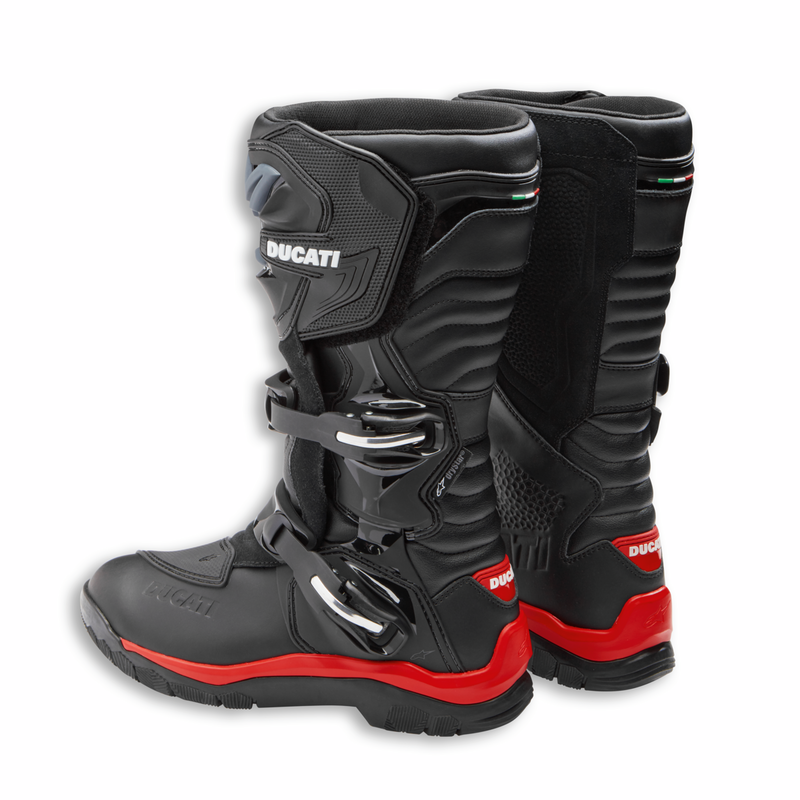 Every component of this boot has been designed for weight-saving and performance regardless of the weather or terrain, from the integrated breathable membrane to its upper in a microfiber/suede blend. Buckle closure for easy and rapid in/out, plus a secure and highly personalized closure. The buckles are made from durable TPU and glass fiber reinforced Nylon compounds for greater performance and weight-saving. All buckles include a micro-ratchet memory system and quick-release/locking for a quick, safe and precise closure. All buckles are replaceable. Wide-entry opening of easy in and out, plus secure upper TPR and Velcro™ closure system to allow for a wide-range of calf fit adjustment. A lightweight and advanced polymer shin plate and side ankle protectors provide impact resistance and structural support. 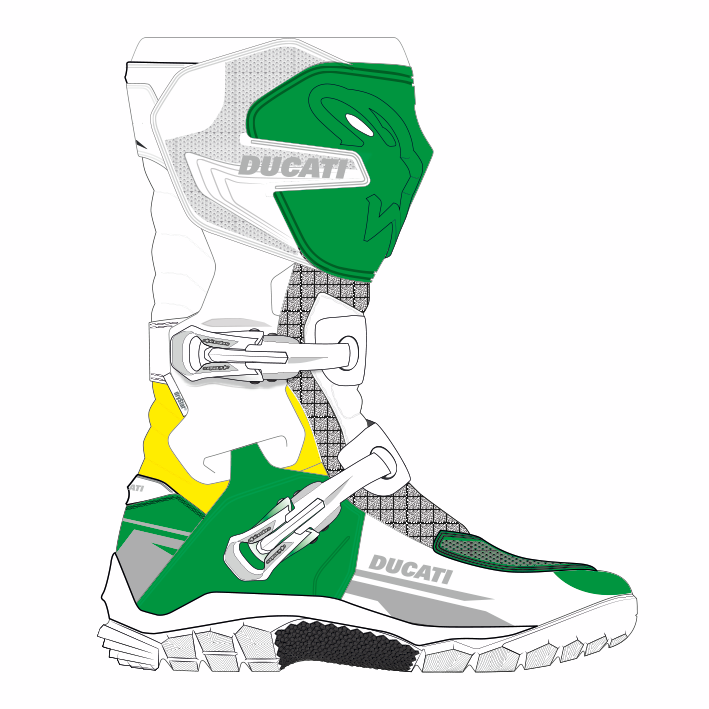 Lateral ankle protection with biomechanical blade-link between the upper boot and the lower foot structure.